JAXA’s first large lunar explorer, Kaguya (formerly Selene), is due to launch on 14 September, adding a new mission to the story of lunar exploration. Originally planned to launch on 13 September, its launch is rescheduled for 14 September 2007, 3:31:01 am CEST, due to weather conditions. Kaguya will be launched on board a Japanese H-II A rocket, from the Tanegashima space centre in Japan. The objectives of the mission are to understand the Moon’s origin and evolution, and to survey it for future use. Japan Aerospace Exploration Agency (JAXA) had previously launched HITEN in 1990, delivering the small lunar orbiter HAGOMORO. Kaguya is said to be the largest lunar mission since NASA’s Apollo programme. Kaguya has 14 instruments on board. With these, it will gather global data on lunar chemical element distribution, mineral distribution, topography and surface structures, gravity field and the environment of the Moon. This will be done with higher resolution than past lunar missions and the data that will be obtained is expected to lead to a better understanding of the Moon’s evolution. The satellite will also observe the near-Moon environment including plasma (a highly variable gas composed of ions and electrons which is electrically neutral), the electromagnetic field and high-energy particles. ESA's SMART-1 team has helped the Kaguya team test their ground segment. This was done by testing reception of the signal of SMART-1 while in orbit around the Moon. China and India are also headed to the Moon, with launches scheduled for October 2007 and spring 2008 respectively. Both missions also aim to collect data for the research of the origin and evolution of the Moon. Kaguya consists of the main orbiter and two small satellites: the relay satellite and the vrad (Very Long Baseline Interferometry Radio) satellite. The main orbiter will be placed into a peripolar orbit at an altitude of 100 km and will observe the Moon for about a year. The relay satellite will act as a communications relay between the main orbiter and the ground station. 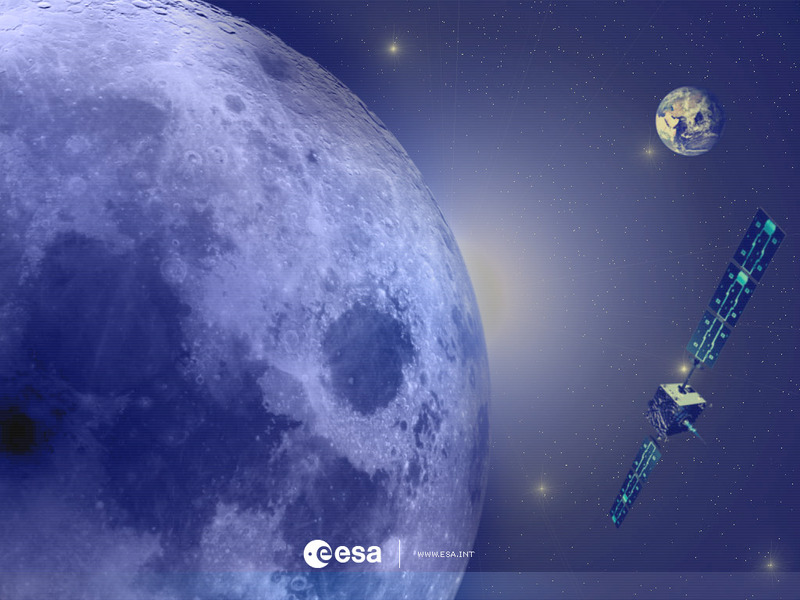 The vrad satellite will play a significant role in measuring the Moon’s gravitational field.